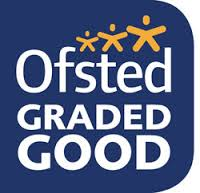 Cherubins Day Nursery in Lambeth is located in Lambeth SW2 and is regulated by Ofsted for childcare provision in the Lambeth area. We are situated in a spacious detached grade II listed building with a spacious and secure garden area, which offers a range of playground equipment for children to enjoy. All children have access to a wide range of physical challenges and learning opportunities to explore freely. We offer a warm, safe and stimulating environment to children aged between three months to 5 Years. Parents will be assured that their child is well cared for and we make every effort to get to know their families as much as possible to ensure the transition to the setting is seamless. 7.30 a.m - 7.00 p.m. Monday to Friday. Our early and late closures allow parents more flexibility, alleviating the pressures of having to rush to and from work whilst they can be assured that their children will be well cared for.